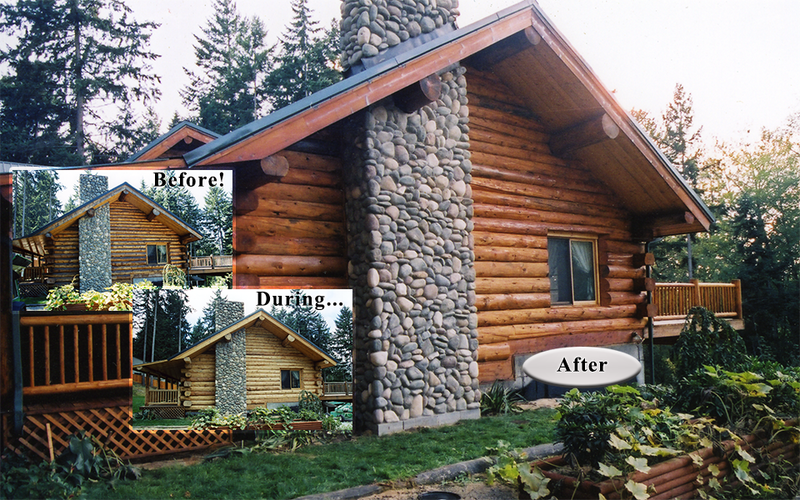 The Little’s had built this beautiful log home in Centralia, Wa but by the time it was completed, the interior and exterior logs were in bad shape from the weather and had black streaks, grey wood, and sever water stains. We had to do a complete interior and exterior cleaning and brightening of the logs, followed by sanding and then 2 coats of Lovitt’s Natural Gold oil based finish on the exterior. The interior received a whitewash process, followed by 2 coats of Lovitt’s Platinum interior log home finish with sanding between coats. If you are in the process of building a log home and need our advice or services, please call us now to talk with a log home expert or receive a free service estimate.